Price Reduced! Stunning brand new condo on the top floor at River's Edge. Upgrades include 60 inch custom fireplace, massive marble steam shower, pre-wire for sound, tankless water heater, engineered wood floors throughout, custom lighting, spectacular quartz countertops, a gas stub on the covered patio and a full set of stainless steel Kitchen Aid appliances. 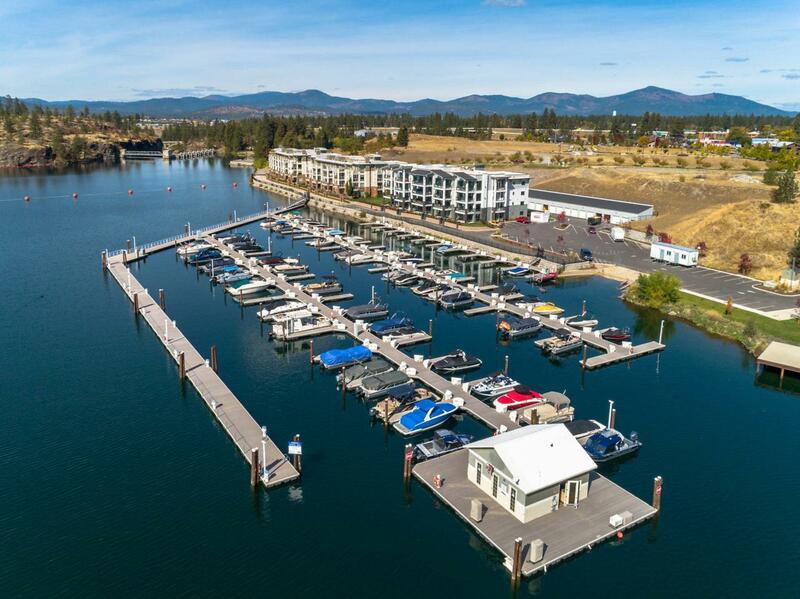 Building features include an elevator, opportunity to rent a boat slip, a private garage, an assigned outdoor parking spot and a fitness center. Unmatched views of the Spokane River; hard to find something like this on the market!